Private Residence, Basel, Switzerland. 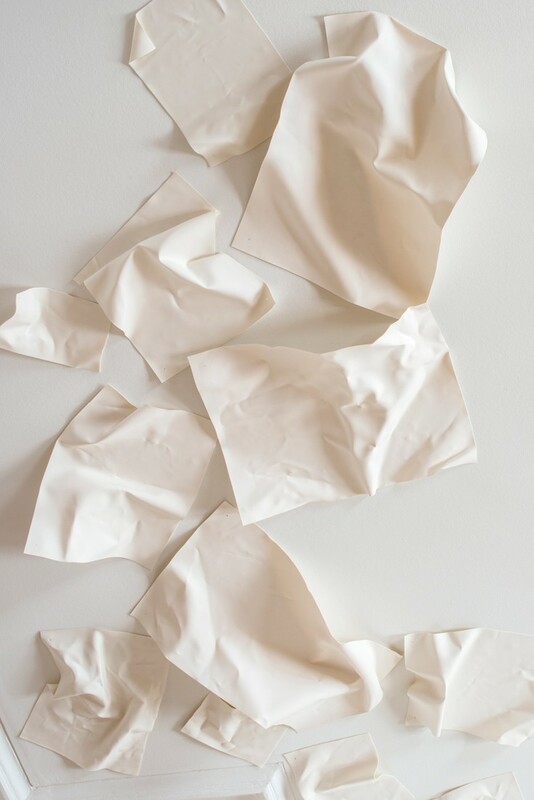 18 pieces of porcelain, 3.80 x 5m (installation). 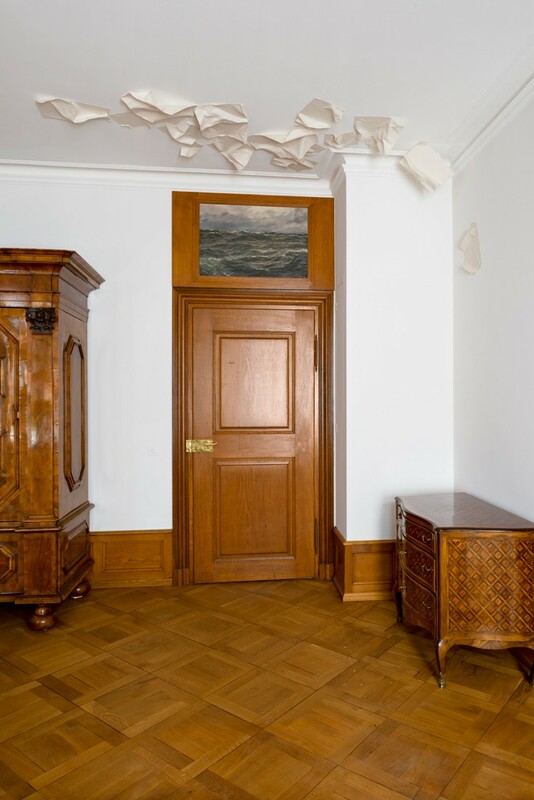 This commissioned work was produced for a private residence in Basel. The installation contains 18 porcelain sheets affixed to the ceiling and wall. 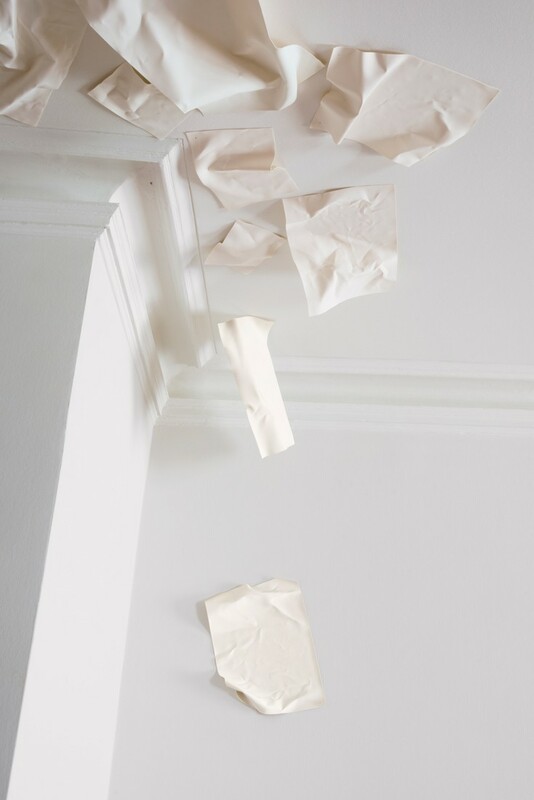 The frailty of the precious material is a reference to the noble character of the 18th century building, much like the mouldings on the ceilings of the other rooms. All porcelain sheets were produced in die Bildauerwerkstatt, Berlin.